Home / Blog / Why Mekong Delta? 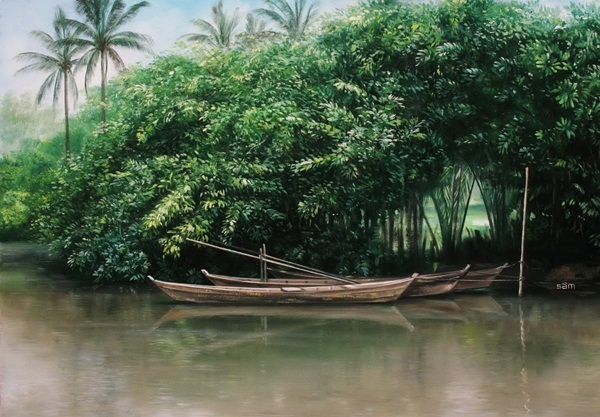 The Mekong Delta is favored for its fabulous scene. Everyone who placed their foot here give their heart to this place. The images of coconut bridges, monkey bridges crossing the green river, of paths going around s village, everything just gives only one feeling: peace. They call it the land of coconut as this kind of tree is grown everywhere. 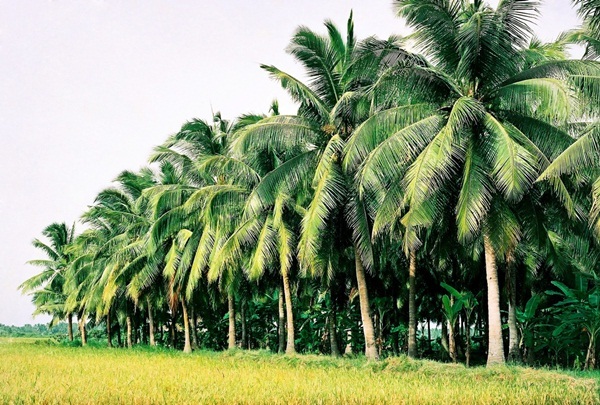 Rows of coconut trees spreading through many rivers, is it beautiful enough? The best picture given to you will be the sunset. It’s a mixture of sadness, romantic flavors giving you the best emotional you. 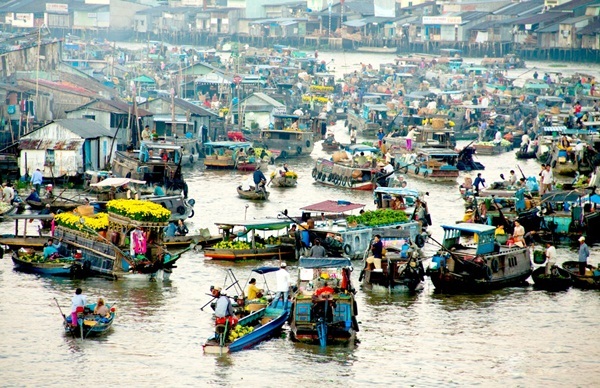 Apart from all of those mentioned above, you may have a chance to see with your naked eyes the floating market, watching the local selling and buying things right on the river. 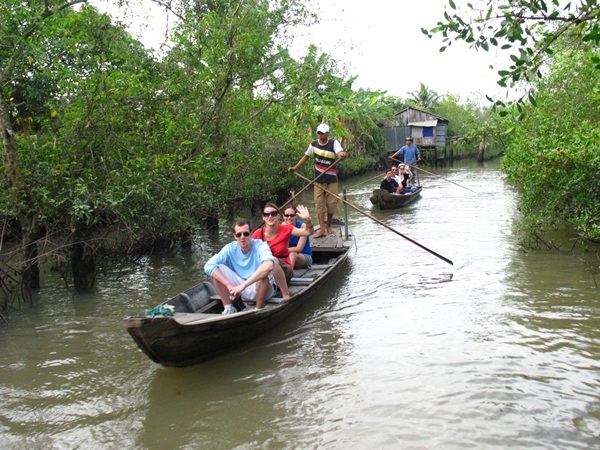 Planning more time for 2 or 3 days, you can really live the life of Mekong Delta with true sounds and colors. There’re farmers harvesting fruits, there’re boat full of fruit floating with the songs someone sings happily despite being tired all day long. With lots of rivers, the weather here becomes cool and very comfortable. Especially when tourists go the garden, float on a river. That’s why even tourist walking around tropical lands, it’s not too hot for them who live with coolness for the whole life. 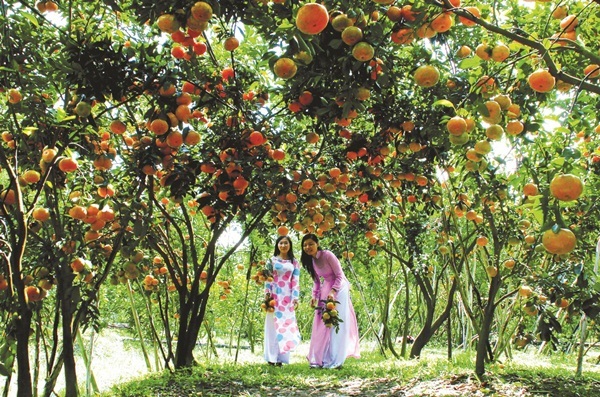 It has become their fame for the friendliness of people living in Mekong Delta. In spite of language barrier, only with their smiles can explain everything. When you become their guest, you will be treated like in your home, especially when you give ‘home stay’ a try. The friendliness of the people has become specialty of Mekong Delta. Fruit is everywhere with the best taste ever. Not only various in quantity but also in kinds of fruit, you will see the fruits that you have never see in your life and do not know how to call them in your own language. Yes, because you just don’t have such kinds in your home town. Don’t miss this chance, enjoy as much as you can. Those delicious fruits are only good for your health. Yes, food cannot be forgotten. 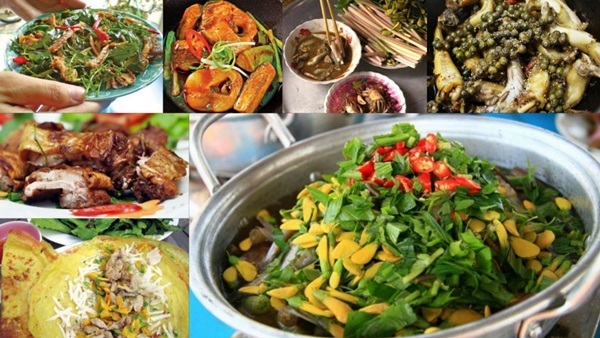 Awesome food in Mekong Delta offers you the taste you cannot find in anywhere else. Ensure you do not miss those tastes. There’re a lot specialties that you may spent a full week to enjoy only half of them. Travelers just don’t read; you have real experience to explore. Plan your vacations right away for your own feelings. Tags: mekong delta travelMekong RiverWhy Mekong Delta?